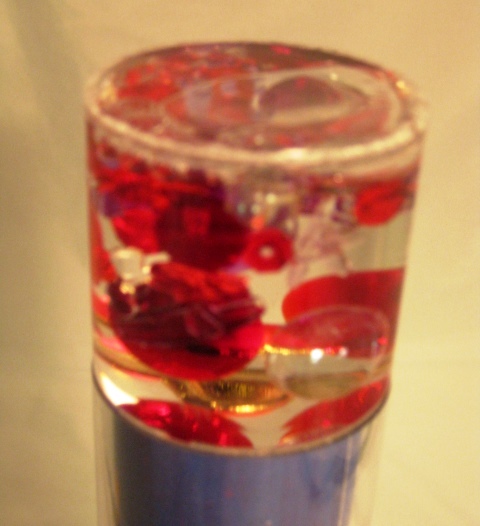 Acrylic tube with liquid filled cell. Standard 3-mirror system. 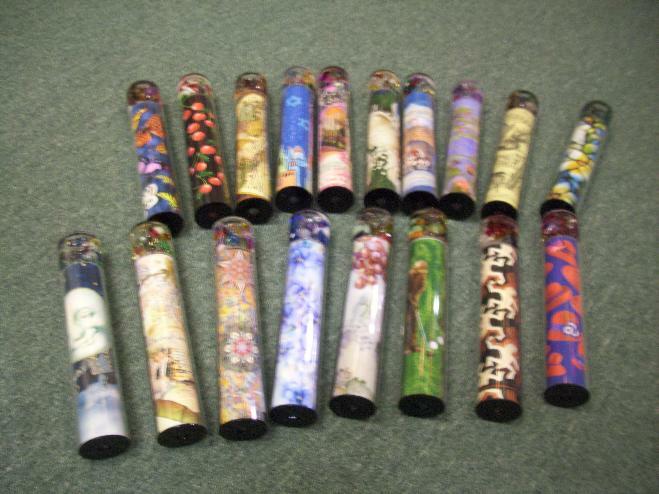 9.25" long, 1.75" diameter. Wrapper shows Red Hats on purple background. 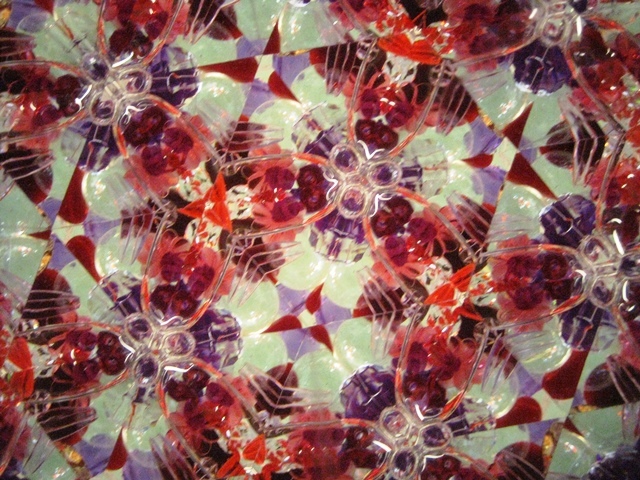 Red and purple beads in object cell. 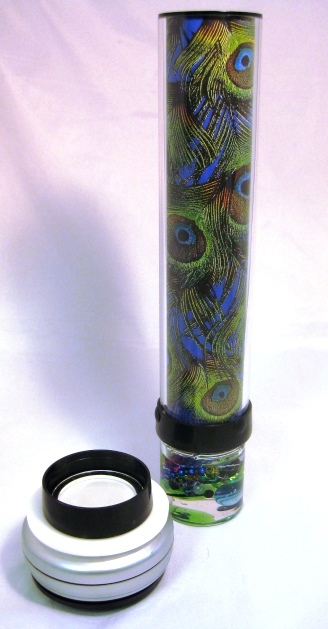 Lighted End accessory also available - enjoy your kaleidoscope in the dark!